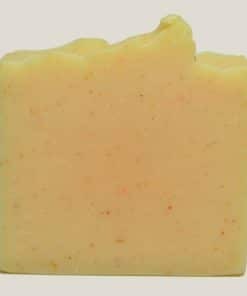 After learning the many benefits of hemp seed oil for the skin, we had to offer a hemp seed oil soap as part of our product line. Available in a scented or unscented bar. Available in a 5.5 ounce bar, 28 ounce half brick (uncut), and a 55 ounce brick (uncut). Half Bricks and Bricks are sold by special order only. 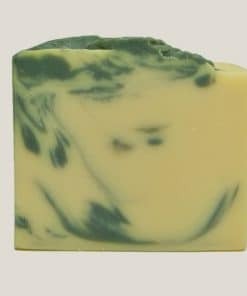 After learning the many benefits of hemp seed oil for the skin, we had to offer a hemp soap as part of our product line. First and most important, Hemp Seed Oil contains no THC or CBDs. Once it goes through the manufacturing process and is washed and pressed, the final product or resin is free of any psychoactive compounds. Hemp seed oil has high concentrations of omega 3 and omega 6 fatty acids. This makes it an excellent natural emollient and moisturizer. It is especially useful for dry, tired or dehydrated skin and nails. Also, it increases the skin elasticity and water retention capacity in tissues. 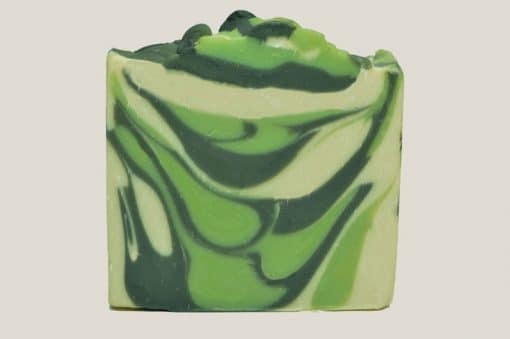 Hemp Seed Oil combined with our other fine all-natural vegetable oils make this an excellent hemp soap. 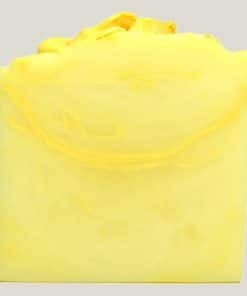 And we add a good helping of shea butter to give your skin an extra boost of moisturizers. 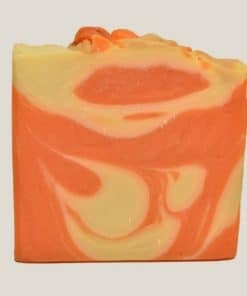 This soap is sure to become one of your favorites. Base Oils: Coconut, Palm Kernel, Olive, Hemp Seed, Palm, Castor and Sweet Almond. Scents: Patchouli, Clary Sage, Lemongrass, and Bergamot essential oils in the scented version. Enhancements: Grapefruit Seed Extract (natural preservative), Shea Butter (moisturizer), and Colorants.